Seattle seems like a city singularly ill-suited to support a large bicycling community. First, it generally rains here, every day, from about early October until about May 1st. May is very nice, but in June it starts raining again until about July 5th when our summer starts. Most years we watch our local Lake Union fireworks display covered in visqueen tarps. Second, Seattle’s topography does not really lend itself to bicycling. Seattle is a city of hills. To create our downtown areas, our founding fathers had to blast the tops of the biggest hills down with giant water hoses to create a vaguely flat area for our downtown. Vaguely flat mind you. Even today Seattle is very hilly; we have Capitol Hill, First or Pill Hill, Queen Anne Hill and Beacon Hill. 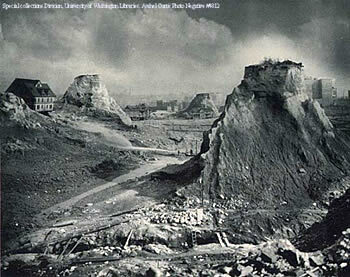 We used to have Denny Hill, but it got regraded and is now called the Denny Regrade. I don’t know about you, but when I go biking I like flat. Hills are not my idea of fun when riding a bike. Yet despite our weather and topography, many of the members of my extended Seattle family are simply loony about biking. Several of my colleagues (Andy, Mark and Mike) routinely bike to work, even in the dark of winter. Our mayor, Mike McGinn, has the nickname of Mayor McSchwinn since he is such an avid biker. He hired the über bicycling advocate in Seattle, David Hiller, to advise him on transportation issues and paid him $95,000 a year to do it. Nice work if you can get it. Seattle adopted a “Bicycle Master Plan” in 2007 at a cost of $300,000 that was supposed to guide us for ten years in our quest to spend $240 million to build a bicycling system as good or better than Portland’s. I guess bicycling is the last remaining area where Seattle is still not already as good as or better than Portland. Anyway, recently people are suggesting that we need to upgrade our 10 year Bicycle Master plan, four years after it was completed, by spending an additional $400,000. Typical comments to that suggestion have been along the lines of “How about just paving the damn streets that are falling apart into concrete chunks first? Seattle spends about $3 million a year on supporting bicycling and Proposition 1, which got thumped at the polls last November in Seattle, would have boosted spending on bicycling by an additional $1.7 million a year. Now I don’t want you to think I want the bikes off the streets so I can drive, unimpeded, to work in my Hummer. I commute to work each day in my trusty #79 Metro Bus along with the other members of the lumpenproletariat. I just think that spending a substantial amount of City funds to accommodate the commuting needs of the 0.012% of the Seattle citizens who bike to work each day is a bit of a misallocation of City transportation resources. Especially given the state of Seattle’s streets. While our glorious mayor is sometimes called Mayor McSchwinn, sadly most if not all Schwinns are no longer made in this country. There are lots of bikes and frames still made in this country, but most of them are for high-end riders. But how about for the rest of us? For the average rider, there is a great bike company located in Queens, New York that has been making bikes in this country since 1898. That bike company is Worksman Bikes. Worksman Bikes was founded in 1898 by Morris Worksman and is currently owned by Jeff Mishkin who is the husband of Morris’ granddaughter Barbara. Worksman makes “industrial” bikes and tricycles, recreational bikes and tricycles and a wide range of specialty bikes. It manufactures all its bikes in its Ozone Park factory in Queens, New York. 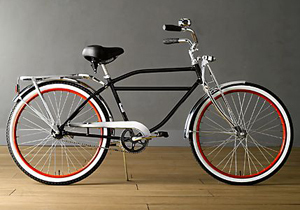 There are simply too many Worksman models to show you, but I think the cruiser custom pictured above is the coolest Worksman bike. I urge you to go to the Worksman website, find your personal favorite, then order it to be delivered to your home. You will get a great bike, you will provide continued employment for the members of your extended American family that work at the Ozone Park Worksman factory and you will make a statement that buying American is a simple important thing to do. Who knows, maybe the only thing that prevents me from becoming a bicycle commuter in Seattle is a Worksman bike. But then again, maybe not. This entry was posted in made in usa, recreation and tagged bicycle, Made in America, made in usa, Oregon, Portland, Seattle, Worksman Cycles. Bookmark the permalink. 2 Responses to In this weather? I can do to promote your wonderful firm.